April Fool Uncovered... and some that should be April Fools - but aren't. On April Fools day, we thought we'd share a few of our favourite fact is stranger than fiction April Fool stories. Since we set up GoUnusual back in 2004, we have been regularly quizzed if all of the properties we write about are 'for real'. The team loves to celebrate creativity and are frequently amazed by the property stories we uncover. I've equally always been a fan of the 'spoof' products and ideas dreamt up by companies to celebrate April Fools day. I remember special air for car tyres (BMW Cars) and the addition of the hole in a polo mint due to EC regulations (Polo mint sweets). However, some of the fakes are hard to spot from the crazy-but-real. Holiday Out Hotel in London - was our own Unusual Hotels of the World 2012 spoof campaign for a tent-based, suspended-above-the-ground hotel, located in a forest nearby the London Olympic Park venue. After over 15,000 views and 2 requests from TV companies to visit and film this spoof property - plus a few complaints - we decided to take it off the website. www.holidayouthotel.com is still getting clicks - even though we've had to make it clear to all viewers that it's a spoof. Thanks as always to Alex Shirley-Smith and his team at Tentsile - for letting us use the photos of his tents - to our development team at Iniquus, for putting up the sites - and to my kids and Marcus Eldh for being the models while they stayed at the very real forest huts hotel Kolarbyn in Sweden. 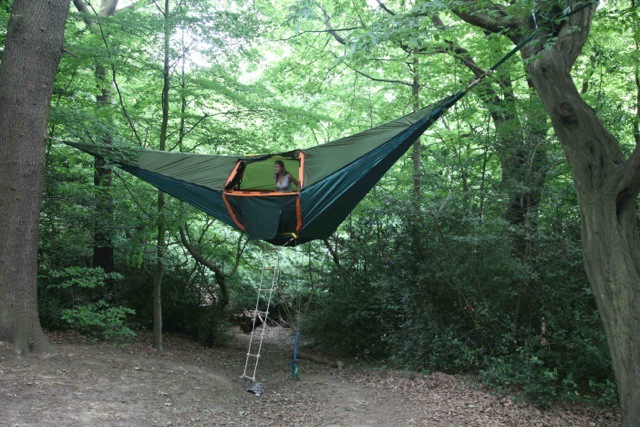 And the best news of all perhaps - is that the suspended tents that we highlighted as possible hotel rooms are not only real - the Tentsile company has expanded and is now selling it's tents online. I checked out these Dog-Hoodies - and although they're basically kids clothing resold for dogs, the site is real and you can indeed buy clothes for your treasured pooch. 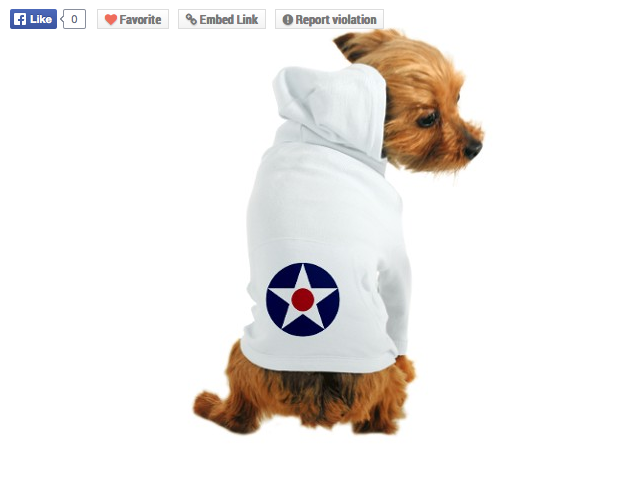 To quote from the CafePress site: Our dog hoodie is perfect for small to medium sized dogs who like to dress to impress. Aye Chihuahua! They're even on SALE! !! 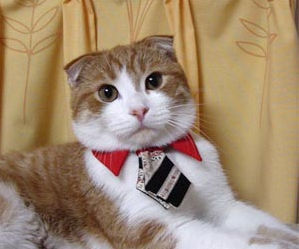 Although it's slick, a perennial favourite - and no spoof at all - is the Japanese art of dressing up cats in clothes (Cat Prin - The Tailor for Cats). For those unfamiliar with the etiquette of cat tailoring, Cat Prin have been providing specialist clothing for cats for many years. The 2015 favourite was updated to Cats in Kimono's, but to be honest, we stopped checking after that...there are whole sites about this stuff. 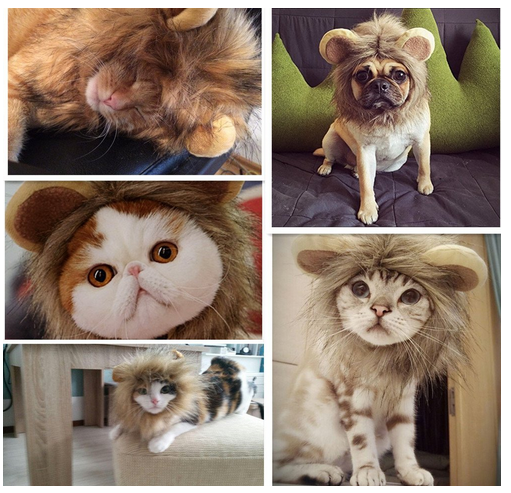 The latest fashion is Cats-Dressed-Up-Like-Lions. You can find this stuff is on Amazon - it's even on Prime! One of our favourite Bloggers MessyNessyChic came up with this amazing "Should be a Joke but it's Real" Cafe Dreamy story for her blog. 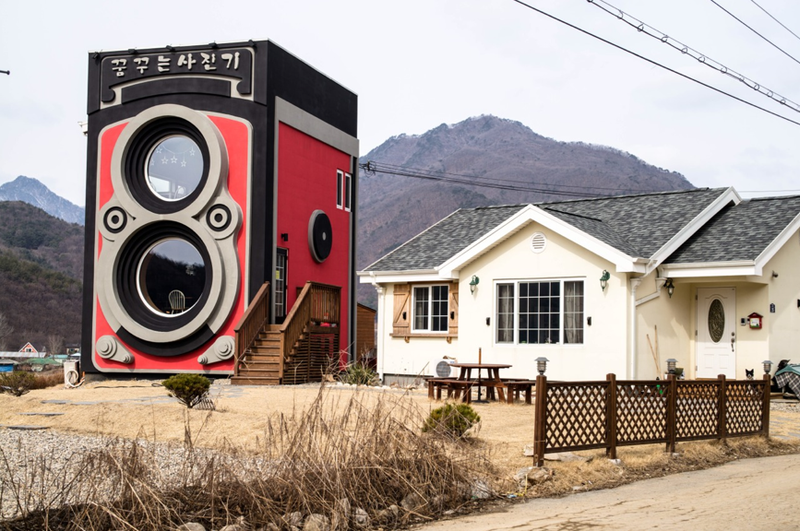 Having seen the photo from changjeans on tumblr, ever the detective, MessyNessyChic chased down the story of this giant Rolleiflex camera and uncovered that a Korean camera fanatic built this as a small cafe next to his house. While I'm no expert in Korean, the Cafe Dreamy facebook page has more information and shots. 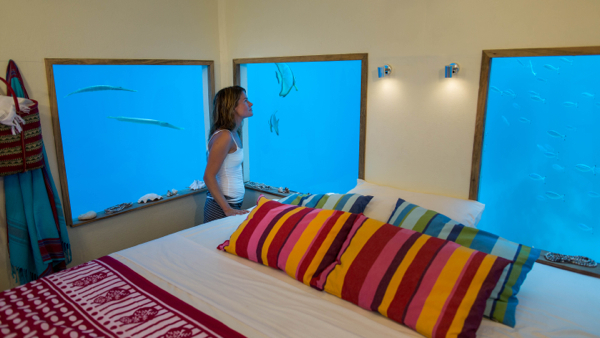 GoUnusual Underwater hotels are popular - and the latest - deluxe Manta Resort in Tanzania is stunning. 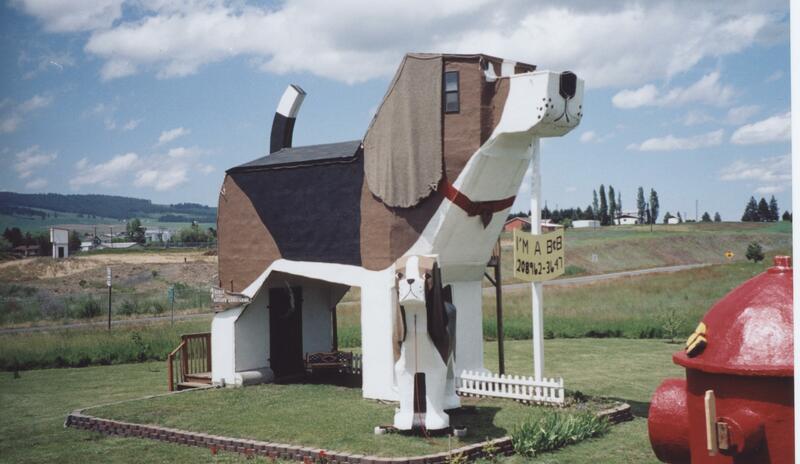 What about a B+B in the worlds largest Beagle - Sweet Willy in Cottonwood Idaho? 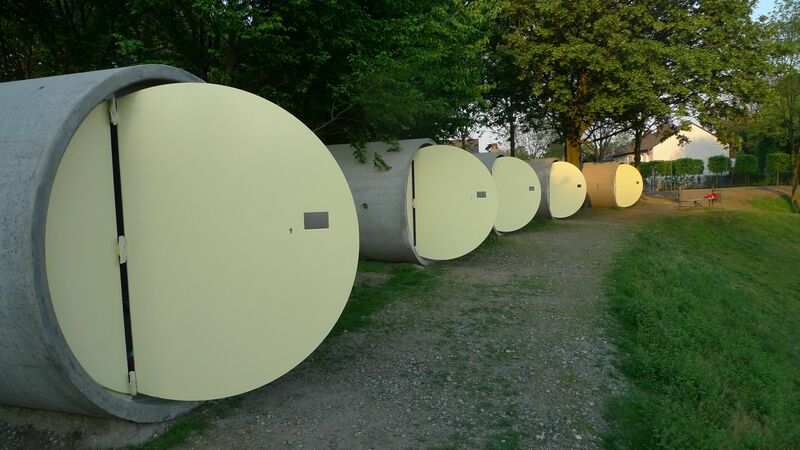 Or perhaps our two Das Park hotels made out of concrete sewage pipes in Germany or Austria? They're clean, warm, safe and amazingly - they're cheap (you offer a donation to stay). The Marmara hotel in Turkey spins around on it's own foundations - featuring 23 spinning suites? ?? Surprised ?? They're all real. 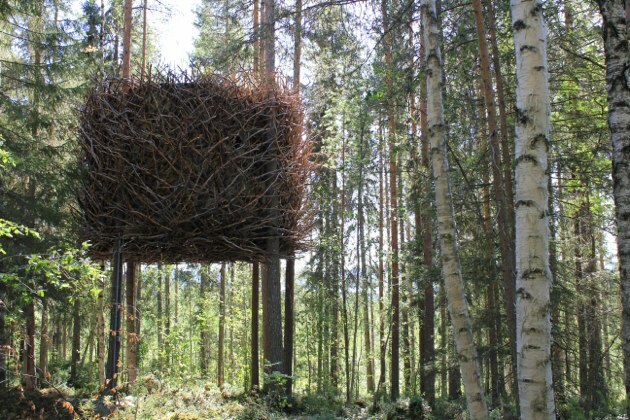 So too is Treehotel - which provides a Giant Birds nest to sleep in. 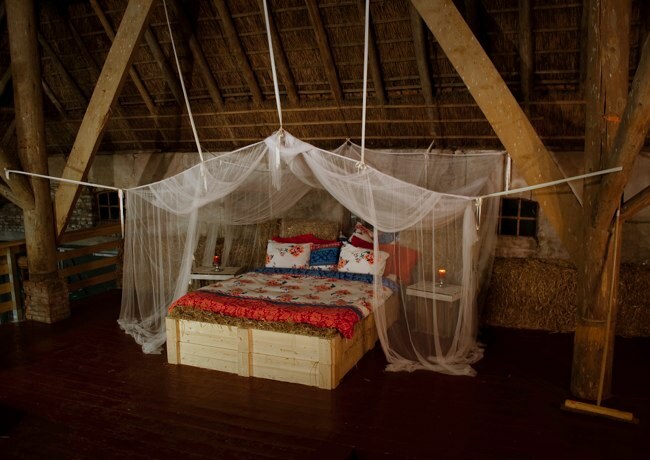 It's not only real - it's really comfortable, and open all year round. 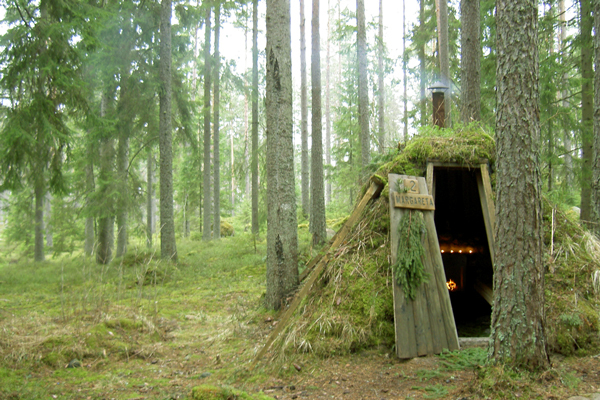 and a suite at the bottom of a Silver Mine in Sweden. What about giant polyester model of a human intestine where you can overnight in Belgium? 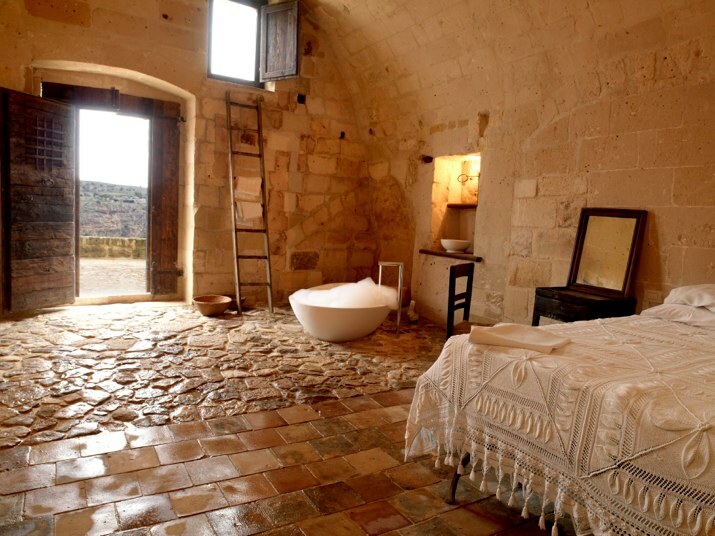 and perhaps a house on the of top a giant chimney in France? Also real is distributor Thomson & Scott selling the latest fashionable drink for size zero models... Skinny Champagne. Perhaps getting fat from drinking too much champagne isn't the highest priority problem to fix...?? 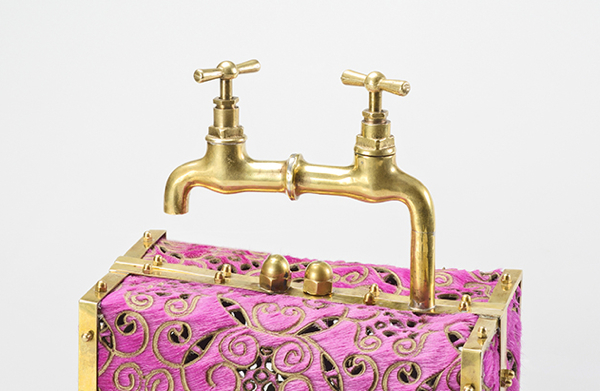 A favourite of the "This is real - but could be passed off as an elaborate hoax" are these AMAZING handbags by our friend, designer Vito Petrotta Reyes of fashion brand Vitussi. 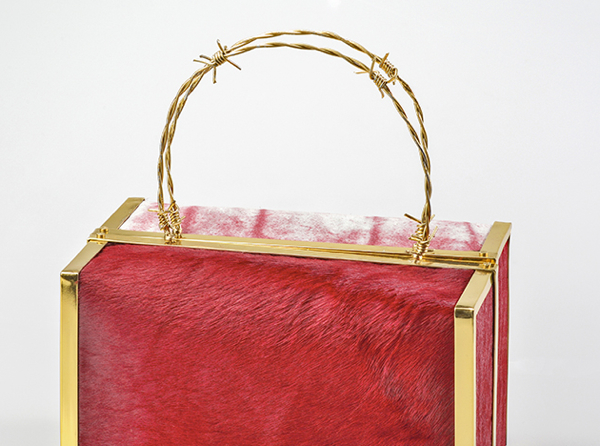 And this handbag titled 'Unattainable Luxury!" 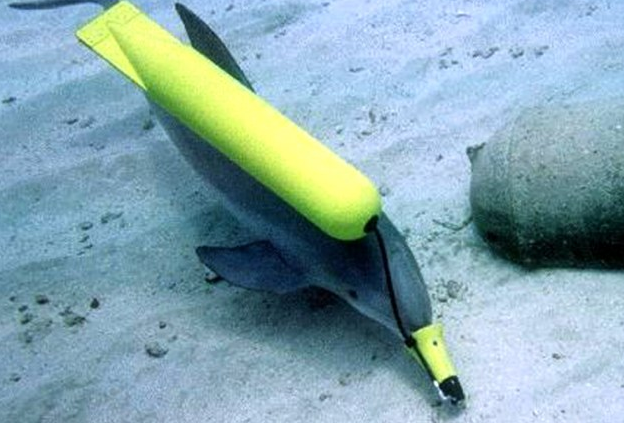 Finally, in our round up of Amazing - but True I've learnt about a secret military detachment of Ukrainian Spy Dolphins. While I'm no 007, but I thought I could smell the herring when I read about this in UK Gossip The Daily Mail - but my friends are either more gullible than me, or it's really true. Supposedly these intelligent creatures have been trained behind the Iron Curtain (and under the Iron Sea) to plant mines and attack ships with special attachments of pistols and weapons. I've discounted less ludicrous stories - so my apologies if I'm hoaxed. But in the spirit of underwater glasnost, here is a shot from The Daily Mail with more details. With best wishes for Unusual Travels. Steve, Simon, Sharla, Sid and the GoUnusual team.